These tubes are coated with EDTA-K3 for blocking coagulation cascade by binding calcium ions in the blood sample. EDTA tubes should be gently inverted 180° 8-10 times or rolled in blood roller mixer to assure complete mixing with blood. 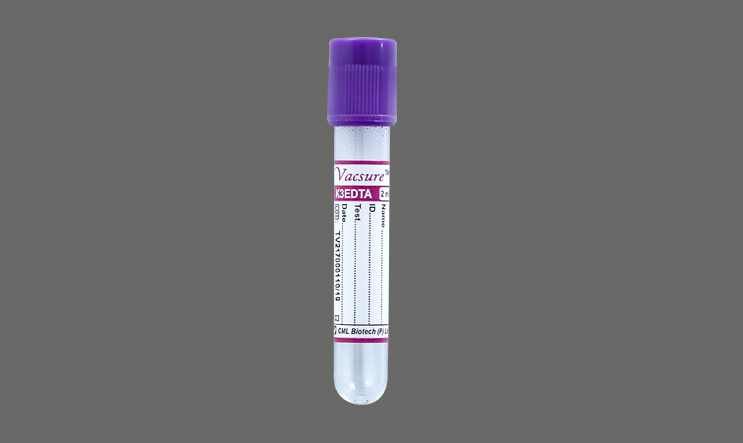 EDTA K3 tubes are used for direct sampling analysis since erythrocytes, leucocytes and thrombocytes are stable in EDTA anti coagulated blood for 24 hours. Blood smearing should be done within 2 hours after blood collection. These tubes can be used for testing whole blood in the molecular diagnosis. Used in Routine hematology tests including Hemoglobin ,Hemotocrit, WBC count, RBC count ,Platelet count, complete blood count and Hb A1C etc. Centrifugation not applicable.